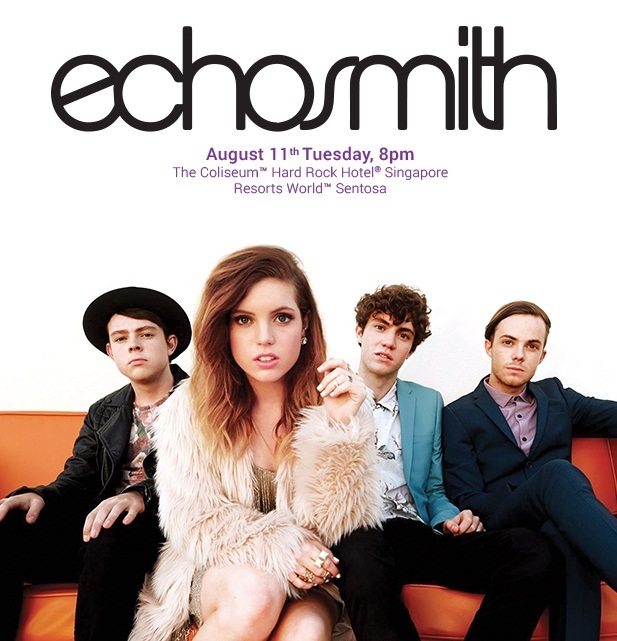 Ever wanted to catch Echosmith live? Now you can do it! Comprising of 4 siblings, Echosmith has proved to the world of their combined siblings power. Best known for their major hit “Cool Kids”, the Sierota siblings have steadily gained a huge fan base with their catchy tunes and dynamic performance. As a strong performer on global music charts, Echosmith’s "Cool Kids" has peaked at number 13 on the Billboard Hot 100 and was certified double platinum by the RIAA with over 1,200,000 sales in the United States. Their new single “Bright” is also gaining popularity on local airwaves as it climbs up the FM987 top 20 music chart. Come 11 August, this brilliant alt-pop band will be bringing their unique pop music to this sunny island. So, let’s join the Sierota siblings as they explore the limitless possibilities of pop music in the one-night only concert! * Free 1GB local data when you sign up from 16July (only applicable to Singtel Postpaid mobile customers), refer to Terms&Conditions for more details. For more information, visit AMPed music! This article is brought to you by AMPed music.